I got this recipe from the Better Homes & Gardens New Cookbook, Bridal Edition. 1. 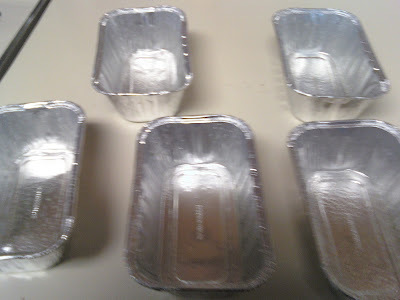 Grease the bottom and 1/2 inch up sides of loaf pans. Set aside. 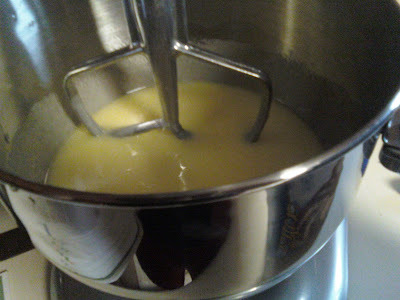 In a very large mixing bowl beat sugar and oil with an electric mixer on medium speed. Add eggs and beat well. Set aside. 2. 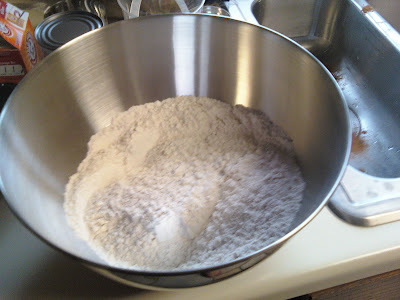 In a large bowl combine flour, baking soda, salt, cinnamon, and nutmeg. 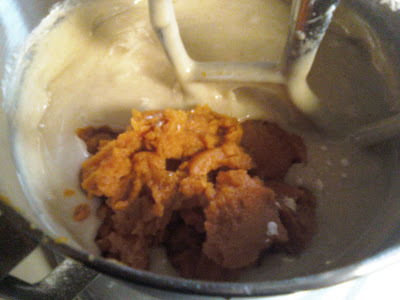 Alternately add flour mixture and water to sugar mixture, beating on low speed after each addition just until combined. Beat in pumpkin. 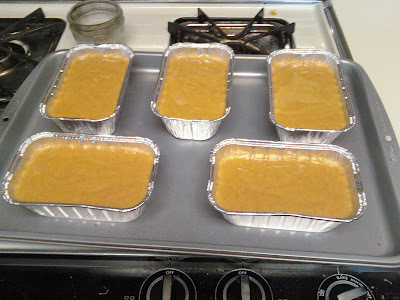 Spoon batter into prepared pans. 3. Bake in a 350° oven for 55 to 65 minutes or until a wooden toothpick inserted near center comes out clean. Cool in pans on wire racks for 10 minutes. Remove from pans. Cool completely on wire racks. Wrap and store overnight before slicing. The recipe tells you to use two big pans. 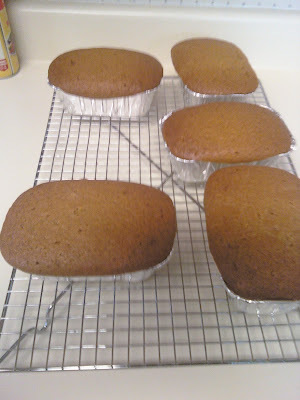 I decided I wanted to use mini loaf pans. I should have had one or two more though because I filled mine too full. It took longer for it to cook, but I think that is just because it was too thick. Empty pans. You can pick these up at Wal-Mart for cheap. They are just the one time use kind. The sugar and egg mixture. 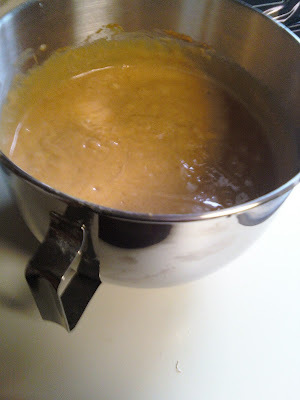 The flour mixture and the sugar mixture together. This is the pumpkin you should use. 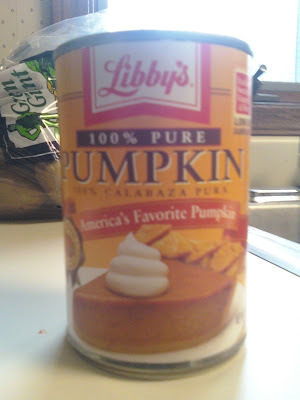 I'm pretty sure they are the only people who make canned pumpkin. 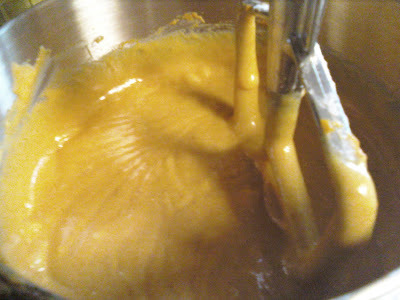 Pumpkin going into the mix. 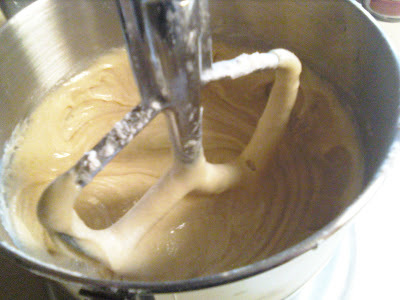 This batter was delicious. I'm not going to lie. Too full, but ready to go. This was really really good. You should try it. It really wasn't that difficult to make. It was just time consuming because I had to keep checking to see if it was done. And it was really hard to wait until the next day to eat some.